All India Muslim League(AIML) that was conceived at Dhaka in December 1906 carved out a new homeland for the Muslims of the Indian Subcontinent. After the death of the founder of the nation in 1948, the party started to split into factions. In 1962, the first usurper launched the “Sarkari League” called “Convention Muslim League” (CML). It was a collaborative effort to weaken the political structure and make it subservient to the administrative powers left behind by the colonists. In 1967 when Zulfiqar Ali Bhutto (ZAB) launched his political outfit called Pakistan People’s Party (PPP), I was there by chance. The crowd in the YMCA Hall on the Mall was charged. ZAB asked “Awami” or “Sarkari”. The chant was unanimous for “Awami”. ZAB then promised to deliver an “AwamiHakumat” (People’s Government) since the people were fed up with the control of “Thana” and “Partwarkhana”. As young students of the sixties when we were called to challenge the hegemony of dictatorship, we responded. There were pitched battles with the “State Apparatus”. The Governor House, which was a symbol of colonial authority, was our target. On our march, we were stopped by brute force by the likes of ‘Halaku Khan’ who was an in-famous DSP (Deputy Superintendent of Police) of his times. The first ‘Lathi charge’ took place at the General Post Office (GPO), the second at Regal Chowk and the third at Charing Cross. It was almost impossible to reach the gates of the colonial mansion, but we refused to give up. Only once, in our entire political struggle as students, we were able to enter the sprawlingcolonial mansion. In the first free and fair election of 1970, the people rejected the ‘Sarkari League’, and ‘AwamiHakumat’ was established but at the cost of the break-up of Quaid’s Pakistan. The then Governor Punjab Mustafa Khar opened the gates of the Governor House. Now we could enter the seat of power without struggle with the brutal administrative state apparatus. As chancellor, he was there for us. The era of politics continued till July 1977 when the third usurper toppled the elected government. Despite the judicial murder of its founder, the political structure of PPP remained intact. Jamaat-e-Islami, the other party with structure but limited public support, decided to join hands with the usurper. Years later,in 1996, Imran Khan moved to formally launch his political outfit by the name of Pakistan Tehreek-e-Insaaf (PTI). Due to lack of resources and support of the administrative machinery, the movement remained limited to a few big cities only. In 2006 comrade Ahsan Rashid as President Punjab of PTI was tasked to build the party at the grass root level. With dedication and honesty, he built the party structure. In the lawyers movement of 2007, PTI emerged as a political force mainly because of his selfless efforts. For the first time in the chequered political history of the country,think tanks within PTI started to formulate policies. Once finalised, the policy documents were shared and discussed with the leadership. During the floods in July 2010, PTI established camps for the victims while other political parties remained ineffective and fled the scene. I personally visited some of these camps in places like Rahim Yar Khan, Dera Ghazi Khan, Rajanpur andKot Addu. With the help of Pakistan Air Force (PAF), supplies were transported to the site. The political structures within the party remained intact till October 2011 when the massive show of strength took place at Minar-e-Pakistan Lahore followed by another in December 2011 at Mazar-e-Quaid in Karachi. 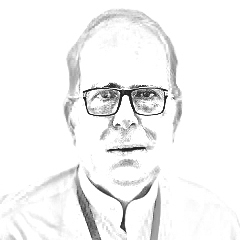 With the entry of electables, followed by the ill-fated intra-party elections and thedismal performance in the 2013 national elections, the structural building process within the PTI stalled. With Asif Zardari at the helm the structure of Bhutto’s party also suffered. Most selfless comrades were either cornered or forced to leave. The people’s movement that was launched by the founder in 1967 has now been derailed to greed and plunder of the few. PTI is in the corridors of power with a promise to deliver change. In order to be in touch with reality, it needs an effective structure. What Comrade Ahsan Rashid, the Zhou Enlai of PTI, had started needs to be revisited and strengthened. Politics is managed through political structures. Political parties have to develop roots in the masses. As the first generation of Pakistan, we have not only witnessed the rise and fall of our own country but also of its political structures. As a Muslim League supporter in my youth, it was painful to see the dismantling of the founding party. We, the progressive students of the sixties and seventies, saw the rise of PPP till its fall under Zardari. As an ardent supporter of ‘Naya Pakistan’, I wish and pray that PTI develops into a grassroot political force by developing effective party structures. The miracle of China was made possible through the framework provided by the Communist Party of China and its think tanks. Pakistan is now moving in the direction of Riyasat-e-Madina for which it needs an organised effort. The party in power has an opportunity to deliver change which can be made possible by building effective political structures. It is the decline of such structures that has hurt the democratic struggle of the people of the country. These ‘sarkariparties’ that have been subservient to the administrative authority have hurt democracy. It is time to reach out and hold hands of the ‘awam’ to build ‘Naya Pakistan’. People’s rule is the way forward. Opening the gates of power corridors is not enough.Governor houses should be moved into smaller, open buildings for contact with the stark reality that prevails in the corruption infested land of the pure called Pakistan.